Making students aware of the many possibilities that await them after high school graduation is a top goal of Douglas County Partners for Student Success as we strive to open doors for them to succeed. Douglas County students pose with participants at the Tradeswomen Career Fair. Ross in particular wants to make sure female students are aware that such fields are open to them as well. That’s one reason she took a group of students in May to the Oregon Tradeswomen’s Career Fair in Portland. 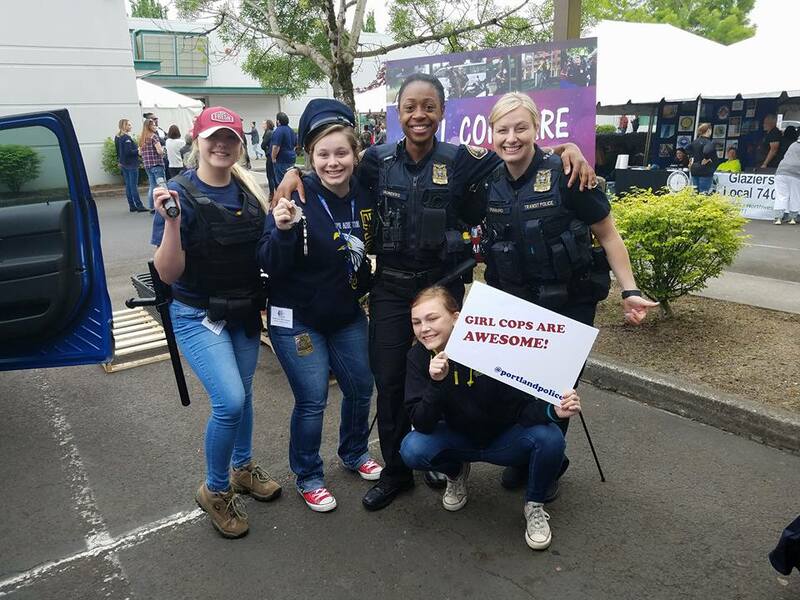 The 26th annual fair put on by Oregon Tradeswomen Inc. featured companies, unions and registered apprenticeship programs that provided workshops and hands-on activities and hosted exhibit booths. Ironworkers, laborers, mechanics, construction works, police officers and others demonstrated their skills and shared information about their careers with attendees. Ross said the majority of the presenters, organizers and volunteers are women. Ross began attending the event when she worked at Phoenix Charter School in Roseburg several years ago. Phoenix front office coordinator Sam Batman organized the yearly visits for students, and Ross credits Batman for sparking her passion for the event and the trades. Ross traveled with eight Yoncalla students this year, and Batman attended with 12 Phoenix students. Both groups hold various fundraisers and use grant funding to cover the costs of the trips. 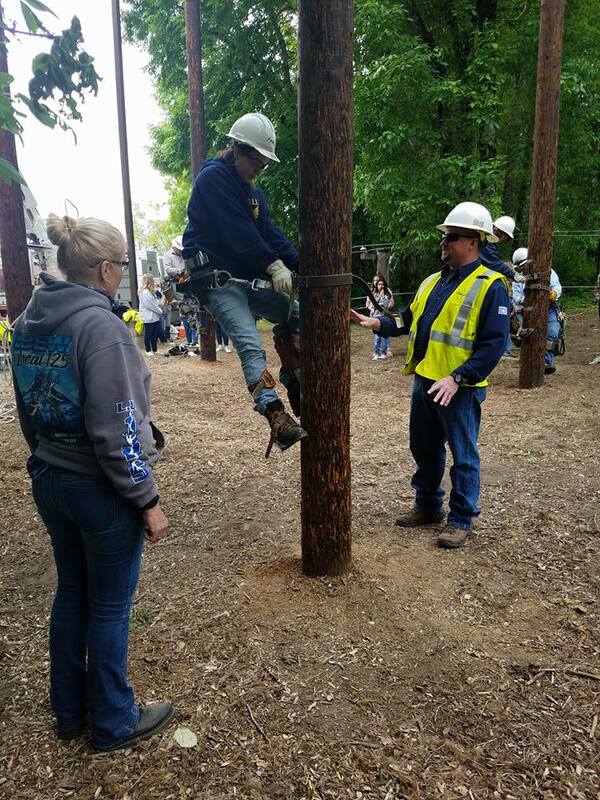 A Yoncalla High School student tries her hand at climbing a pole at the Tradeswomen Career Fair. Batman said she began bringing students to the fair in 2011. Her inspiration was her own upbringing, during which she was pushed toward traditional female roles of being a mother, a teacher, a secretary or a nurse. She believes the students gain empowerment by attending. She recalls the first year she went to the event and convinced a particularly introverted student to come along. The student, who rarely initiated conversation or made eye contact with people, was hesitant. But at the event, the girl suddenly decided to try to climb a telephone pole with the help of a journey-woman. The Yoncalla students who attended this year’s event also walked away inspired. Eleventh-grader Makayla Cranford was also impressed with the police officers, and enjoyed trying on law enforcement gear. She also experienced life as an ironworker when she climbed an I-Beam.